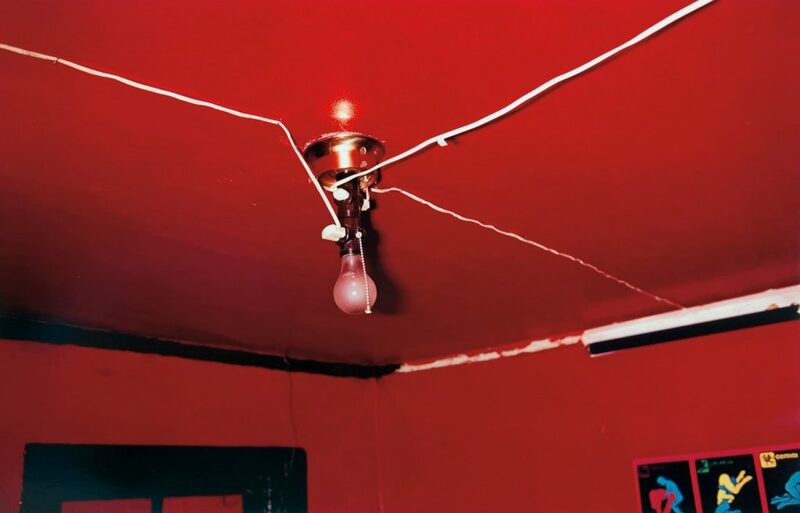 “William Eggleston In the Real World” is a documentary film about the photographer William Eggleston directed by Michael Almereyda and released in 2005. 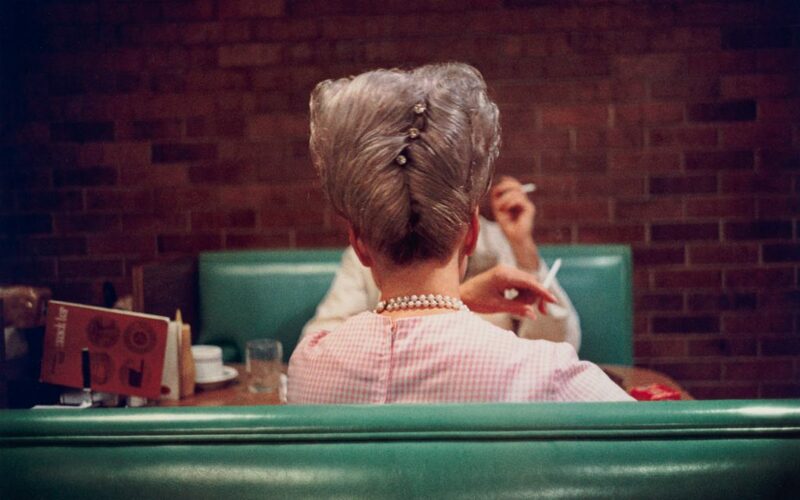 The film reveals the deep connection between William Eggleston’s personality and his work, and also reveals his parallel commitments as a musician, draftsman and videographer. 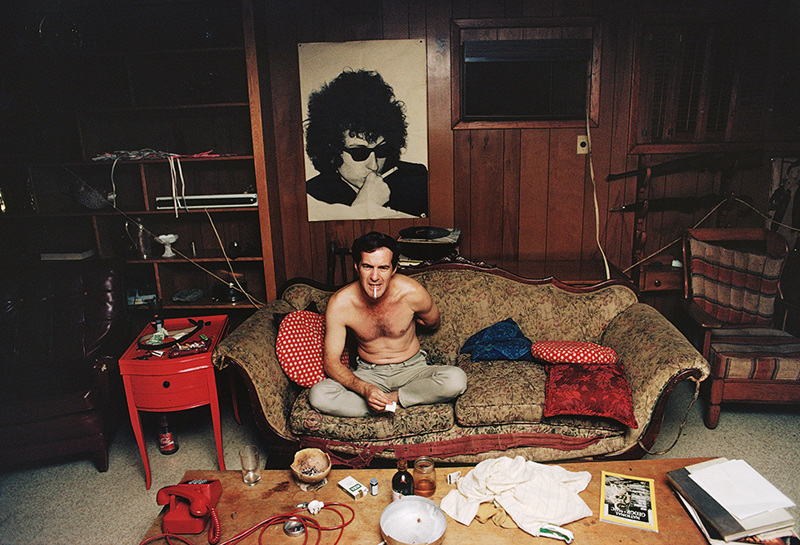 The film follows Eggleston on trips to Kentucky, Los Angeles, New York City and Memphis, where Eggleston lives. 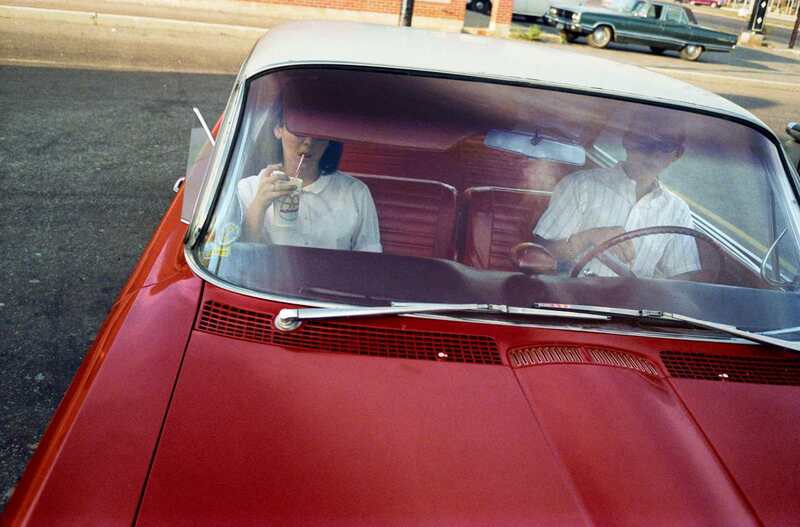 Eggleston is one of the most influential photographers of the latter half of the 20th century. Born July 27, 1939, he is widely credited with increasing recognition for color photography as a legitimate artistic medium. 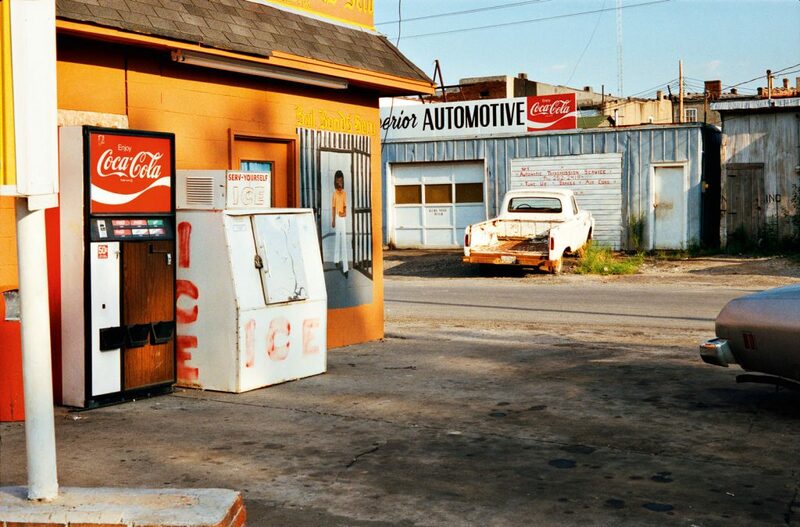 His portraits and landscapes of the American South reframed the history of the medium and its relationship to color photography. 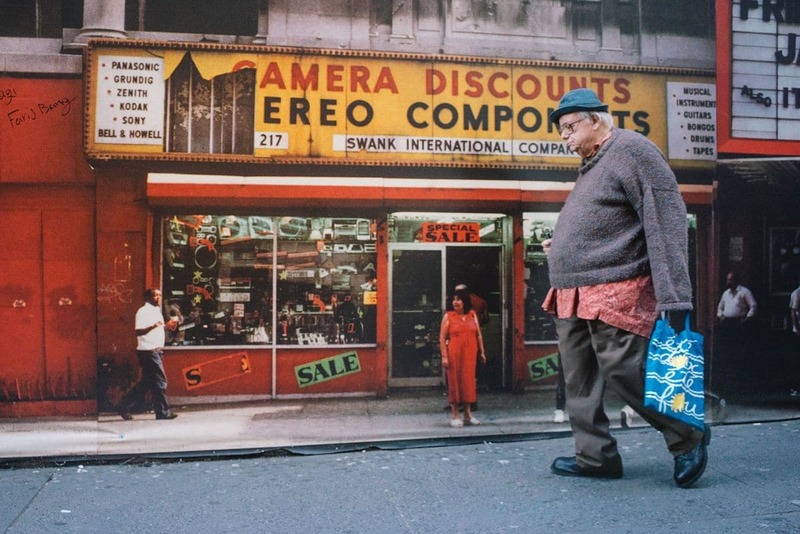 The artist’s experiments with color film during the 1960s challenged the conventions of photography, since at the time, dye-transfer photography was considered beneath serious photographers, relegated to commercial prints and tourist snapshots. He wasn’t interested in photographing “decisive moments” like Cartier-Bresson nor was he interested in capturing extraordinary moments. He was all about finding the beauty in the mundane. 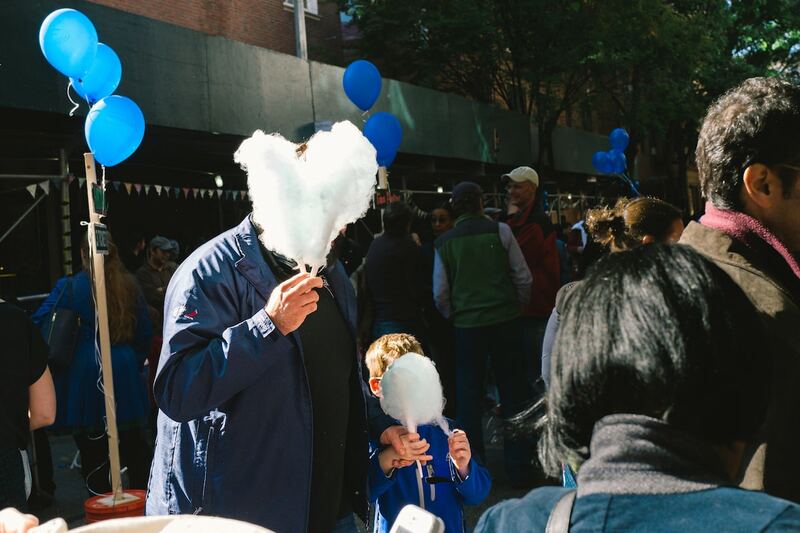 As street photographers, we tend to find extraordinary moments in life. We want to find the craziest-looking characters and surreal moments. 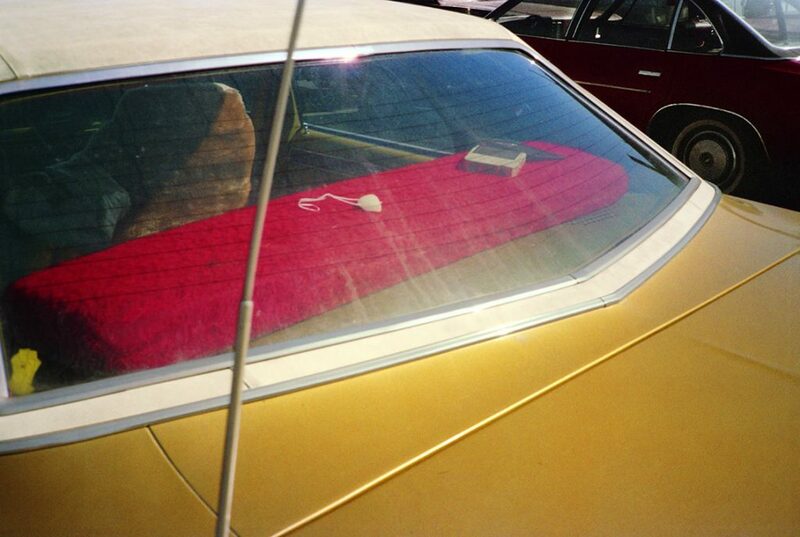 However Eggleston wasn’t interested in the crazy and odd things in life. On the contrary he was drawn to the everyday, boring, and the banal– and wanted to show the inherent beauty of things that we often overlook. 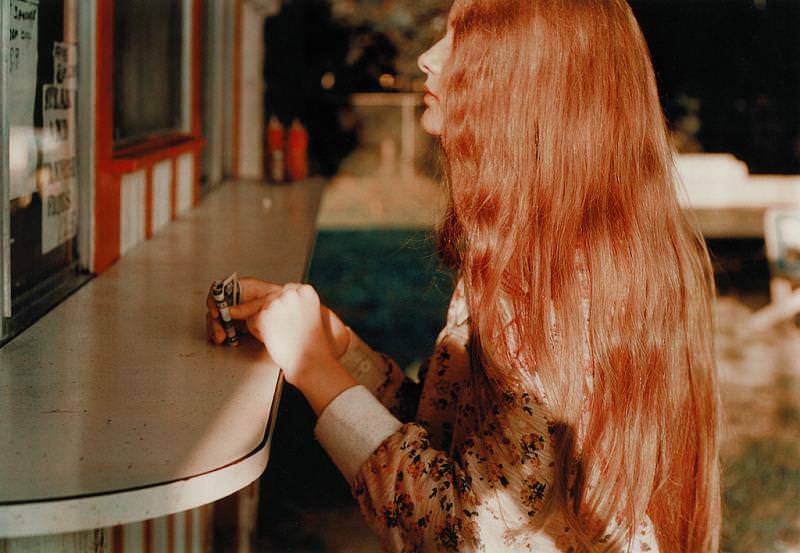 Over the last three decades, Eggleston’s photographs have generated a profound and sweeping influence. 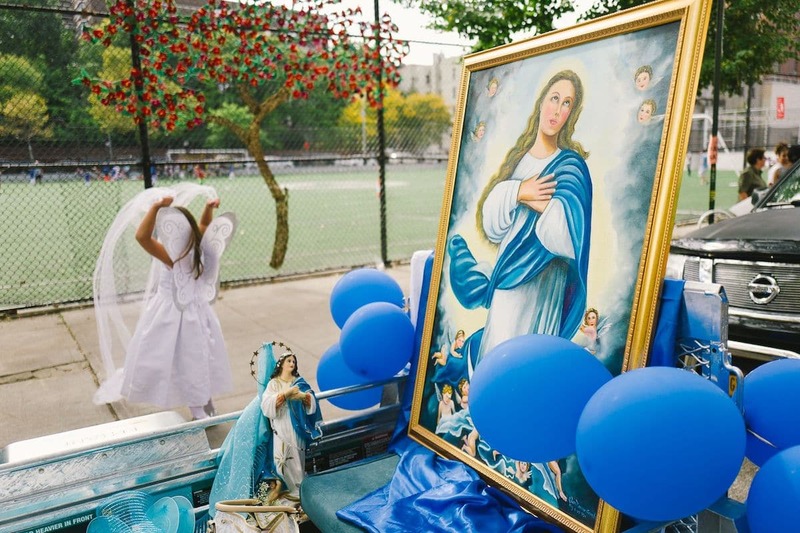 No other photographer has matched his bold and nuanced use of color, or his singular ability to locate emotional undercurrents within commonplace surface facts. 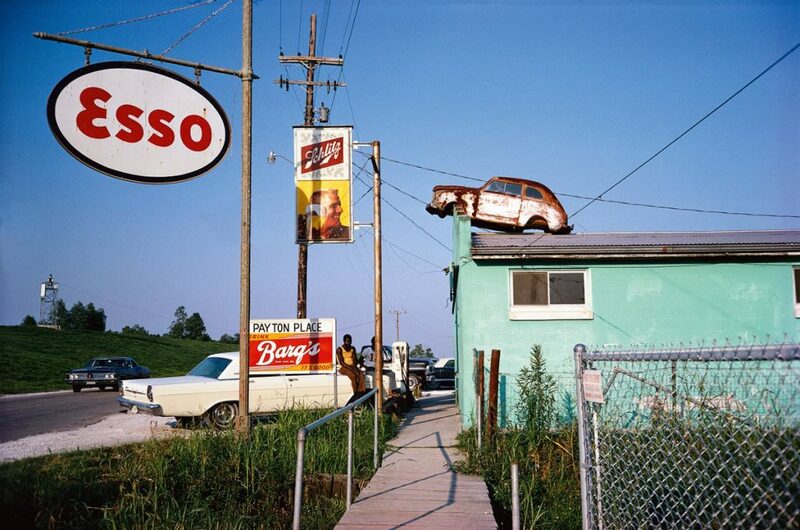 Eggleston’s photographs can now be found in the collections of major museums throughout the world, and are the subject of retrospectives and traveling exhibitions. 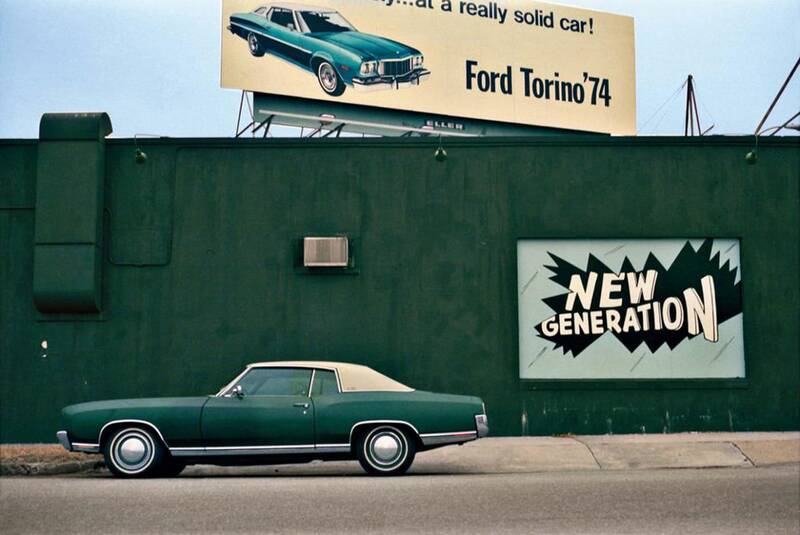 With his documentary “William Eggleston in the Real World”, filmmaker Michael Almereyda poses a fundamental question to the renowned photographer: What does it mean to see the world so differently that “common” images are converted into unforgettable photos? 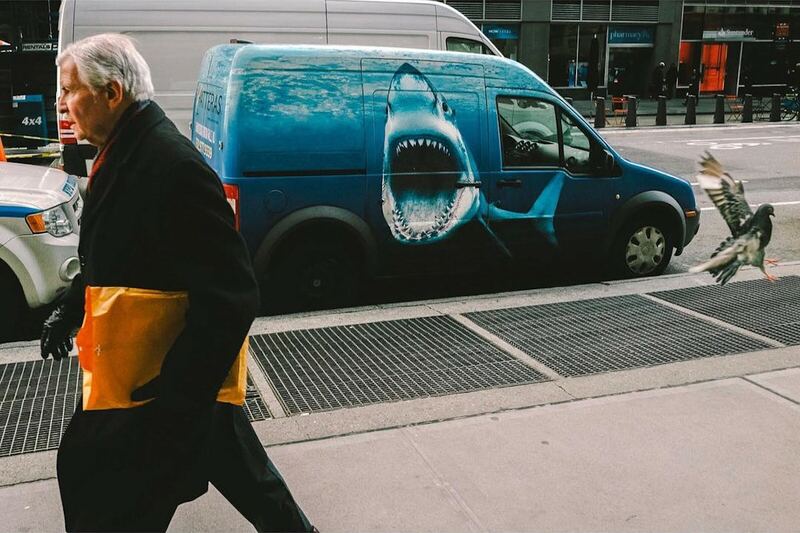 All street photographers are hunters in one way or another, seeking out the perfect moments in life to frame an exceptional image. 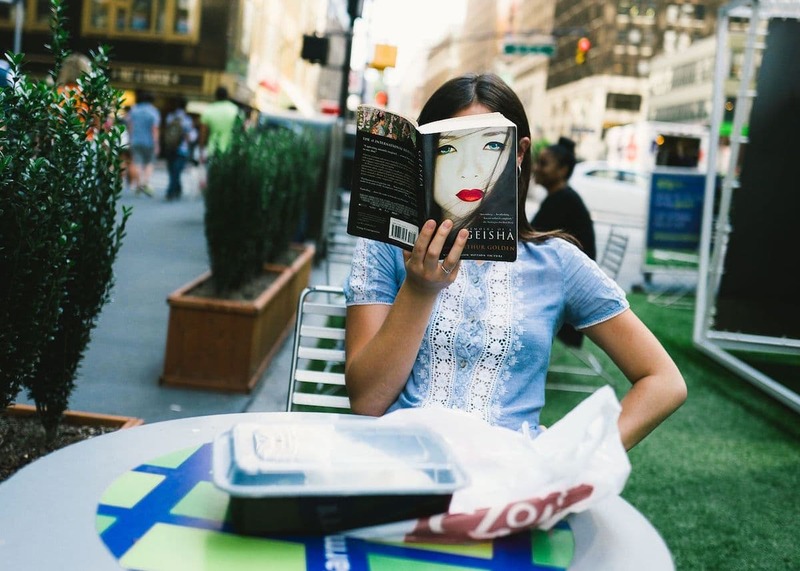 Jonathan Higbee takes this to another level through his work, which is based on observational skills so sharp they expertly pull out the instances in which people and objects align perfectly. 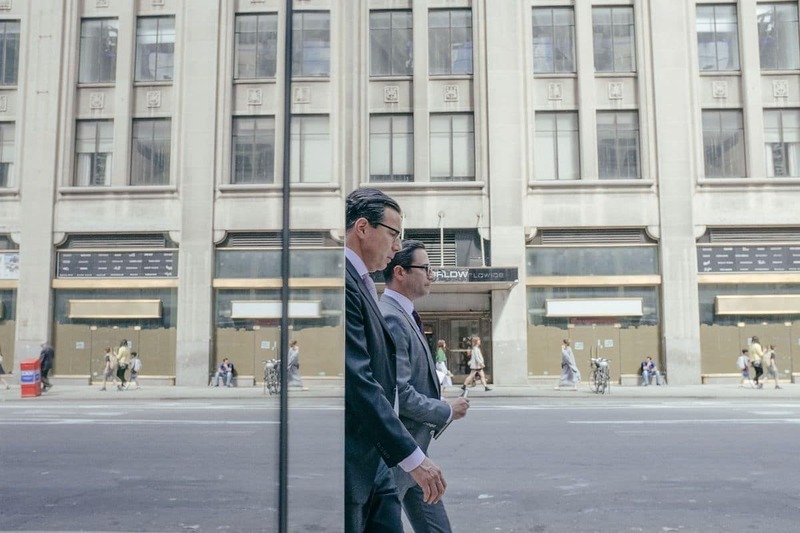 The results are photographs that reveal the subtle coincidences that occur in daily life, ones that often go unnoticed unless captured in a still frame. 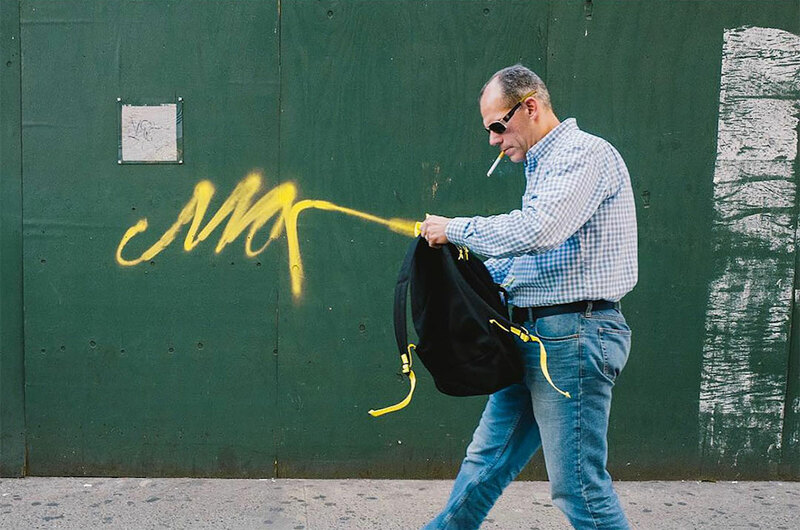 Higbee uses items in the urban environment—advertisements, architecture, graffiti—and seeks out moments where human interaction intersects to create a new narrative. 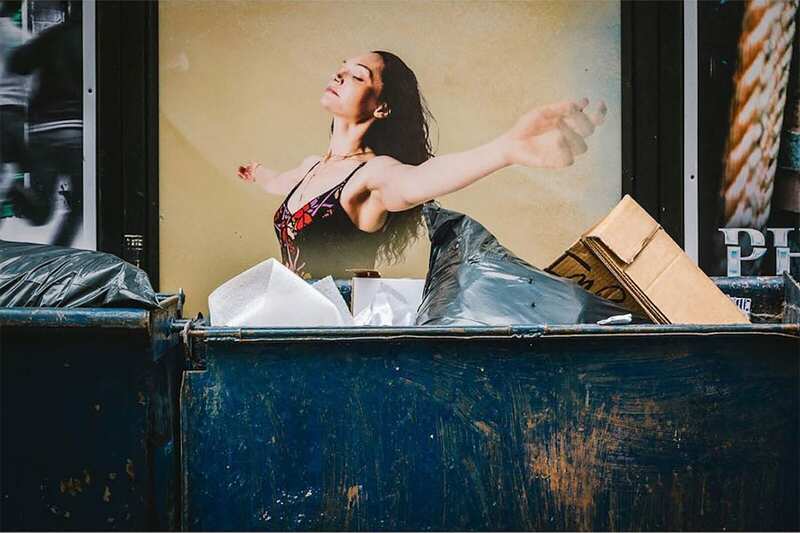 Higbee, who was a finalist in the 2018 Hasselblad Masters Awards, first came upon the “coincidence” project by chance. 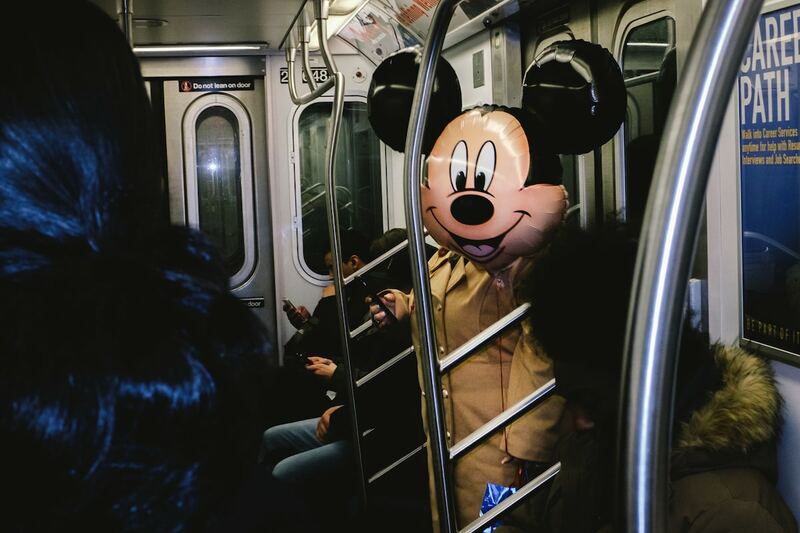 After a day out shooting in Manhattan, he was back at home photo editing when he came upon something he hadn’t realized when photographing a glass-covered subway entrance. 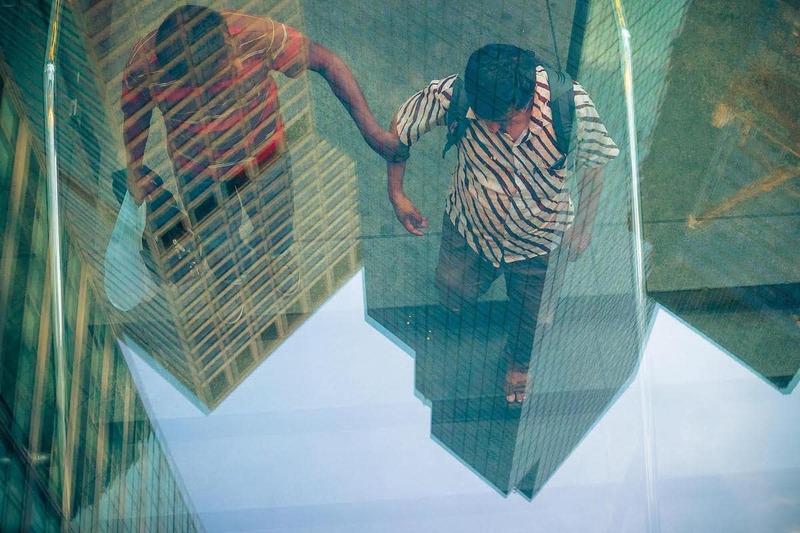 Higbee typically shoots daily, taking along a small camera that allows him to capture any moment he sees, even when out with friends or running errands. 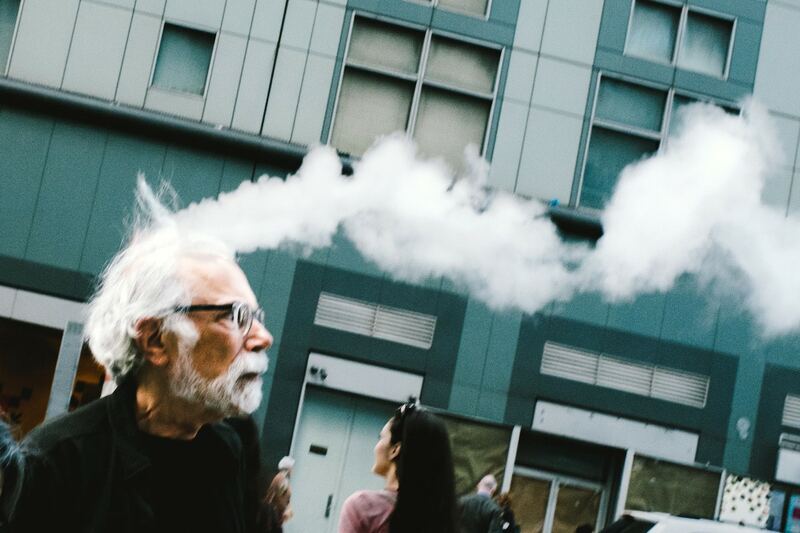 His technique differs from many street photographers, who roam the streets and shoot along the way. Higbee quickly realized that in order to find the coincidences he was after, he’d need to try another method. 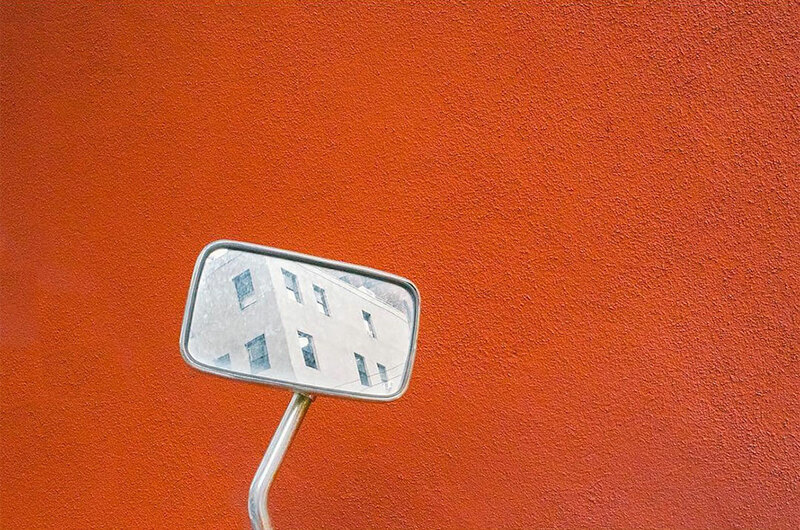 This led him to scout a location and sit in wait—often returning over the course of several weeks—until the coincidence reveals itself. It’s a technique he first tested in 2015, and one of his favorite images is a testament to its success. In fact, he considers it the photograph that jumpstarted his career and allowed him to understand how he could unfold the work into a larger project. 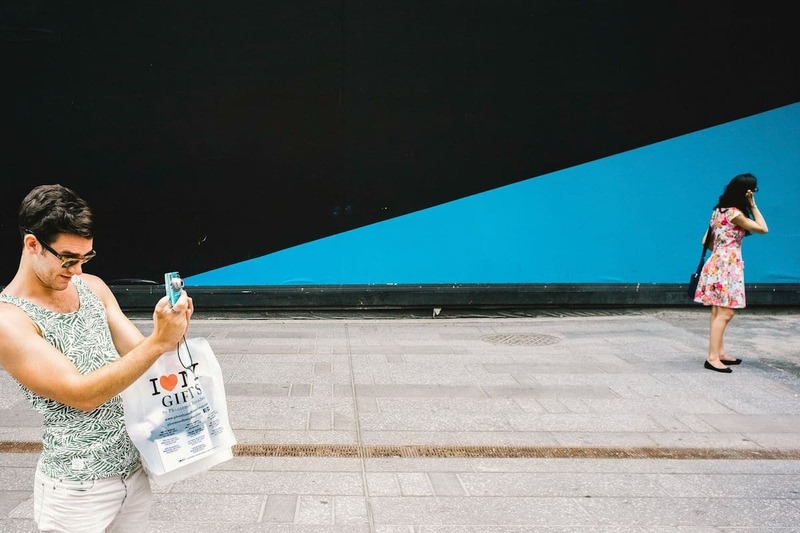 The image shows a man taking a photo with his camera, which aligns perfectly with a mural that engulfs what appears to be an unsuspecting model. Achieving it was a hard-fought victory. 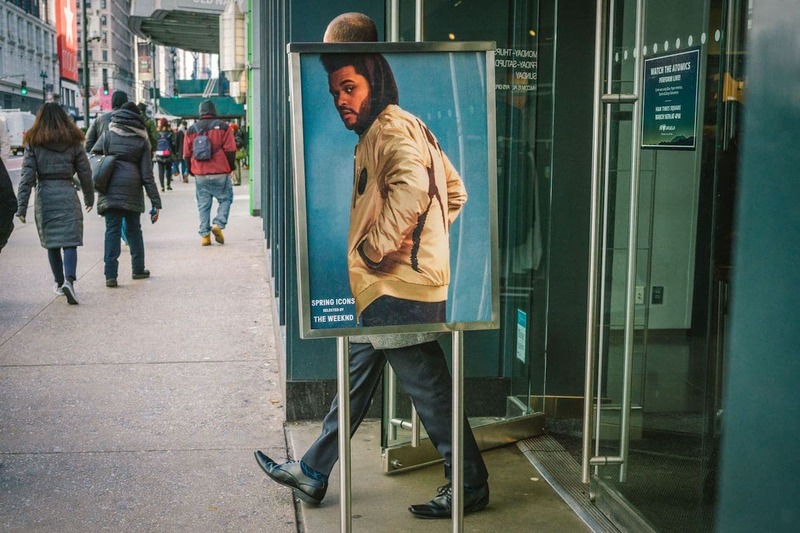 “When I first found this location (a city block-sized Google Play ad in Times Square), I loved the graphic, minimal and clean background, so I decided to hang out for a half hour or so and see what unfolded. An hour went by and I still had nothing I was proud of on my SD card. But I could sense the potential for something great here, so I pledged to return as many times as necessary for that potential to be realized. I returned every afternoon for weeks on end! 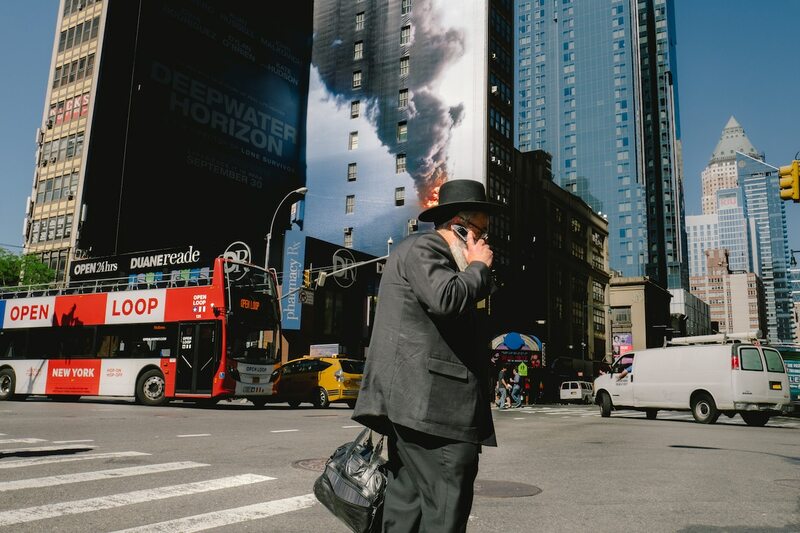 Higbee’s work shows dedication, a quick wit, and even quicker trigger finger, as spying these moments and catching them before they pass by is a skill honed from years of careful practice. 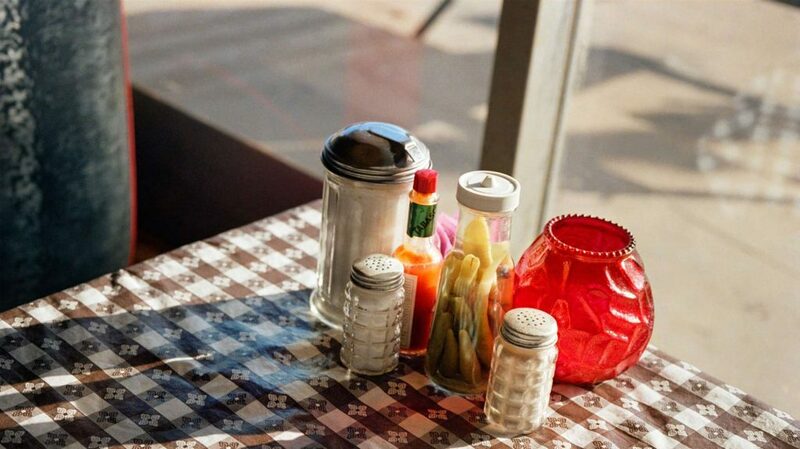 It’s work that encourages viewers to open their eyes to new perspectives, and delight in the small details of life. 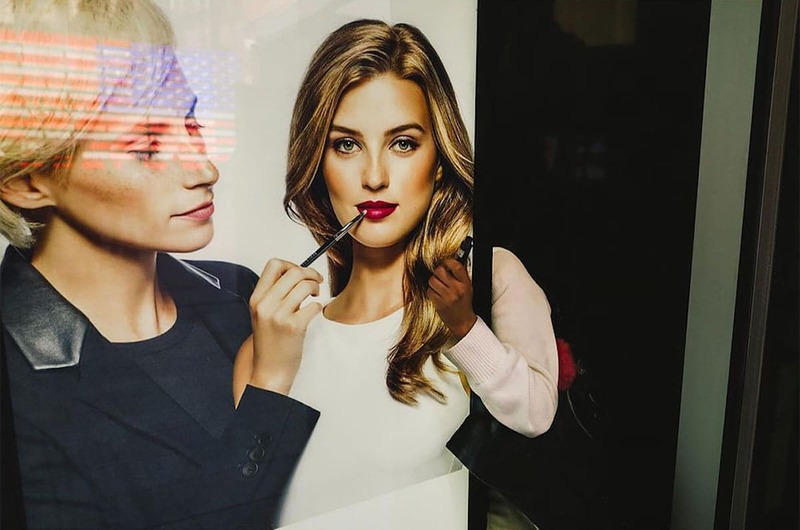 Street photographer Jonathan Higbee specializes in capturing clever coincidences that occur when humans and objects in the urban environment intersect.